Jane Trider + Matrix Light 2 + Isofix Base "Soil Chrome"
The Jané Trider lets you enjoy your trips out with complete freedom. It offers you a chassis with minimalist style complete with all the benefits of an extreme design. The three large high performance puncture-proof PU rubber wheels are perfect for adapting to any terrain and surface, and the front wheel swivels to give maximum freedom of movement. 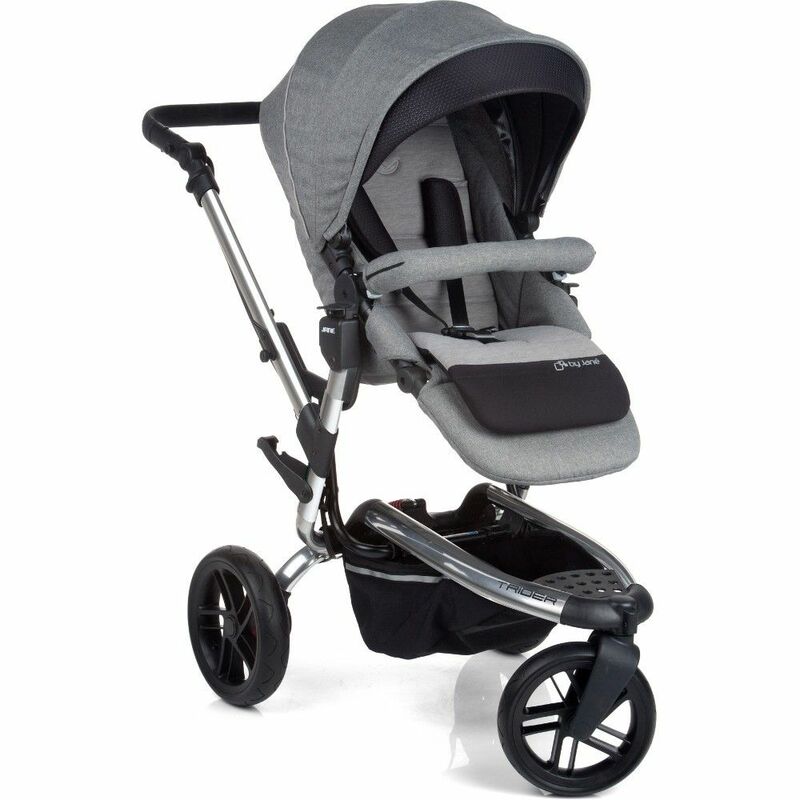 The brilliant long length suspension stroke, with adjustable shock absorber, offers the baby maximum comfort. And the seat unit is reversible, so baby can enjoy his trip out facing the street or parent. The Triders higher seat unit means it can also be used as a high chair, as it adapts perfectly to the table top. This carefully studied position of the seat is also ideal for your child’s health as it keeps him away from car fumes and insects in long grass when off road. It’s extremely compact folded size, and the lightness of the aluminium chassis, make it easy to take anywhere. Fitted with the PRO-FIX system (patented) which means carrycots and car seats can be connected quickly and safely with just one movement. 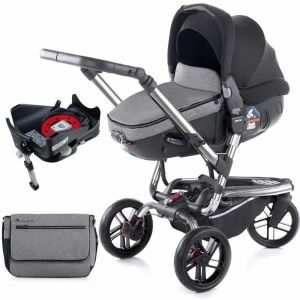 This travel system package comes complete with the award winning Matrix Light 2 car seat that converts into a carrycot. 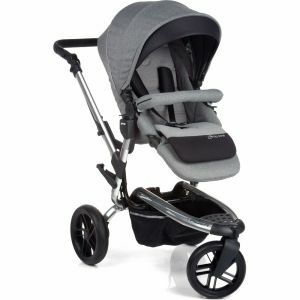 It offers a lie flat position both in the car and on the pram, which is the healthiest way for them to travel especially on longer journeys as there is no time limits. The Matrix can also be used for overnight sleeping and is an ideal environment for your newborn as it supports a natural, healthy sleep. 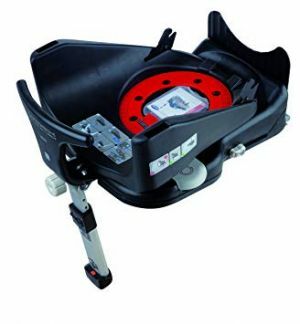 Large deep seat unit with extendable hood a 2 position visor. Puncture-proof all-terrain wheels with PU tyres that are 10 times more hard-wearing than traditional tyres. 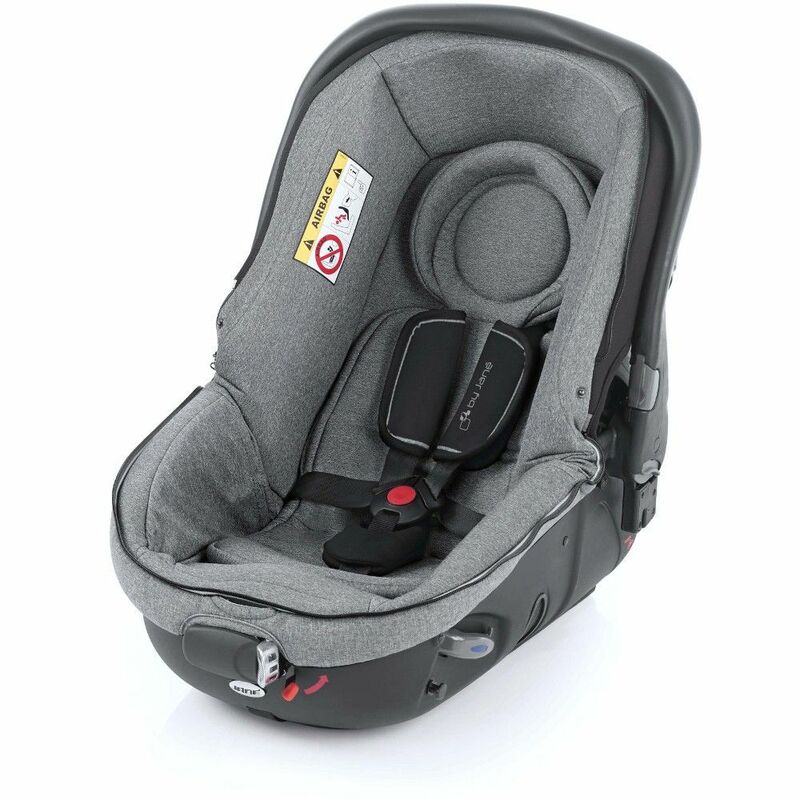 Transform Matrix into a car seat or Carrycot as required. 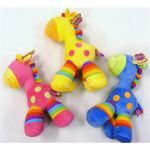 Safe, healthier and for a better sleep in the early months for baby. The Matrix Platform - Turns Matrix into the world's first carrycot with ISOFIX.